JBL CONTROL 16C/T is a 6.5 In. 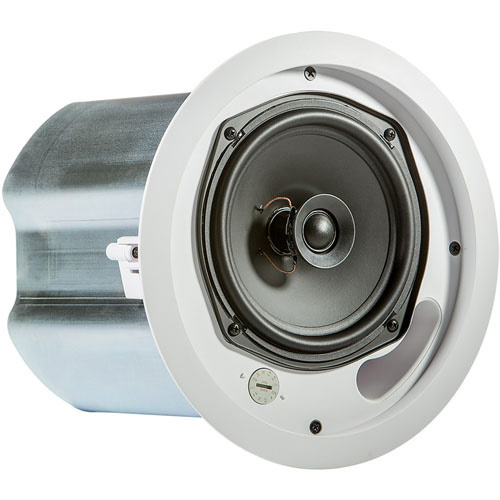 Two-Way Coaxial Ceiling Speaker in White. This full-range ceiling speaker consists of a 165 mm (6.5 inch) high tech cone driver and a 19mm soft-dome liquid cooled tweeter. 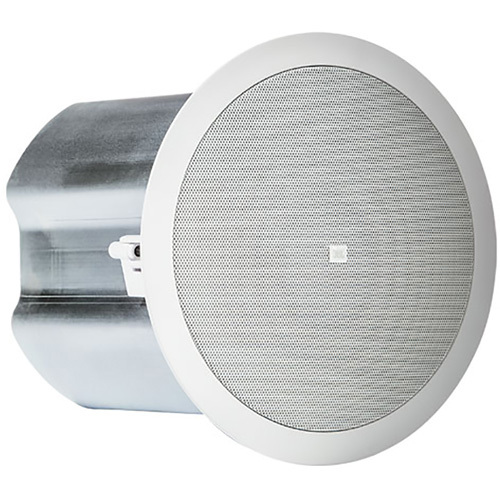 This speaker is mounted in a vented, paintable baffle made of UV resistant UL94-V0 and UL94-5HB material, with a pre-attached blind mount back can for quick and easy installation.